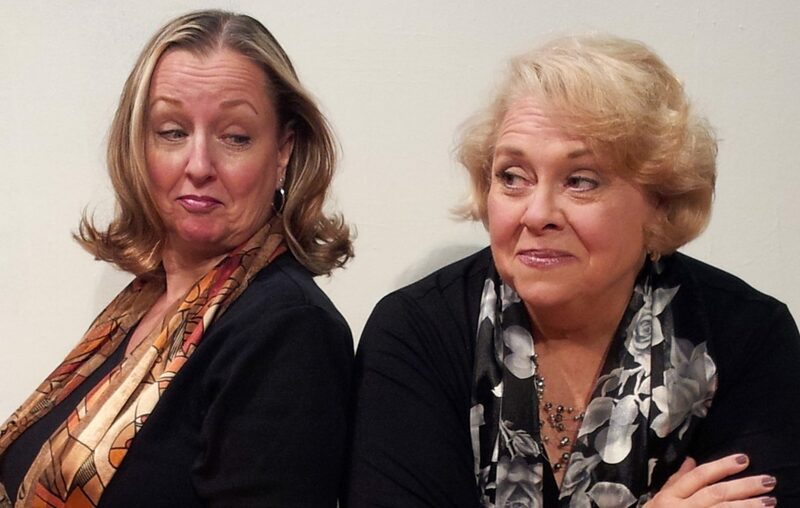 Pamela Rose Mangus, left, and Mary Kate O’Connell star in “The Kathy and Mo Show: Parallel Lives/The Dark Side” presented by O’Connell & Company at Shea’s Smith Theatre. Furloughed government employees can see a play courtesy of O'Connell & Company. The local theater group is offering workers complimentary tickets to its performances of "The Kathy and Mo Show: Parallel Lives" and "Love Letters." "As the government shutdown continues, O’Connell & Company is offering furloughed federal government employees the opportunity for a 'little escape' in the form of a free O’Connell & Company show," said Executive Director Mary Kate O'Connell. “The Kathy and Mo Show: Parallel Lives," at The Shea's Smith Theatre (658 Main St.). Performances are at 8 p.m. Jan. 25 and 26 and 2 p.m. Jan. 27. "Love Letters," at O'Connell & Company at the Park School of Buffalo (4625 Harlem Road, Snyder). Performances are from Jan. 31 to Feb. 24. Times are 7:30 p.m. Thursdays, Fridays and Saturdays and 2:30 p.m. Sundays. Seats are limited. To reserve a pair of tickets, eligible federal employees should call the box office at 848-0800. They must present their federal ID at the box office when picking up the tickets.